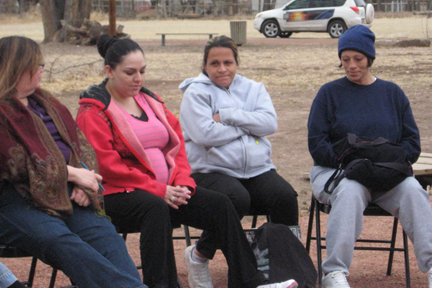 As people who work with young women in Albuquerque every day, we are intimately familiar with the landscape of addiction. It’s twisting curves, jagged peaks, and endless valleys. In many ways, addiction is the white noise we hear at night, and the background music playing in our earphones by day. It is everywhere. What does it mean to live in a state where you are more likely to be impacted by addiction than you are to earn a living wage or to graduate from college? It means that virtually every person we know who was born and raised here has a story to tell about how substance use impacted their lives: their own struggles with drugs, or the struggles of their parents, siblings, partners and friends. Weekly we hear stories of custody struggles, sexual violence, poverty, and death. But we also hear stories of hope, healing, unity and recovery. As the economic crisis digs in, day-to-day struggles are getting worse. Often exacerbated by other stresses, we know substance abuse is generational, contagious, and tenacious. Once it has taken root in a family, neighborhood or town it is hard to remove. But we also know that with quality treatment, it is possible to break free. Last week, the New Mexico legislature passed four bills that could expand access to substance use treatment. Taken together, Senate Bill 232, Senate Bill 321, Senate Bill 354, and Senate Bill 451 will dramatically improve the chances that a person struggling with addiction will be able to access treatment. Right now, in New Mexico, if you are a substance user and come into contact with the legal system, the only bed you are likely to get is in a jail cell. There is a lack of space in treatment centers, and no incentive, structure or support for judges to get you there. If you are pregnant or a mother, your chances of accessing quality treatment are even worse. Women who are pregnant and seeking help fear prosecution and often don’t reach out. Mothers know they run the risk of losing their children, and often try to get clean on their own, rarely succeeding. Right now, sitting on Governor Martinez’s desk are four bills that would do that. Join us in urging her to sign, and help change our landscape. 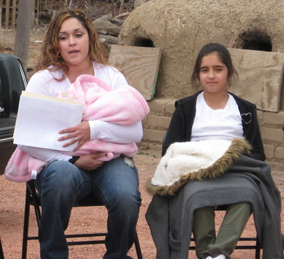 Adriann Barboa and Micaela Cadena lead Young Women United in Albuquerque where they each live with their children. Both were born and raised in New Mexico.